As part of the July Chichester Festivities, I founded our first fully fledged film festival for Chichester, with over 50 screenings including 12 new European films as part of the ironically “into Europe” theme of the Festivities. 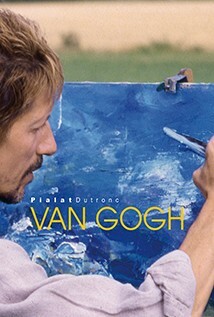 We have selected the previewed 1991 French masterpiece ‘Van Gogh’ to mark this new initiative. From the following year we moved into August as a stand-alone Film Festival for the next 27 years. – Roger Gibson. Due to licensing complications, Arrow Distributors have kindly let us screen the film without admission charges. There will be a collection for local charity Stonepillow at the end of the film.